Now a number of question may arise in your mind, like What is cloud computing ?, Why to use it ?, What is the role that cloud is playing today ? and What is future of cloud ? By the end of this blog you will get answers to all of your questions. "Cloud computing is a internet based computing environment in which shared resources, softwares, hardwares and information is provided to computer devices in the form of servers, storage and network services "
Rather we can say that cloud computing is not just providing servers and storage to web applications rather it is more than that, cloud computing has changed the software development mechanism and utilities. Using cloud computing deployment has become a new age automated infrastructure with less effort and low costs. Today we uses a number of technical resources in our daily lives, just after we opened our eyes in morning up to the time we went to sleep we are all time gathered with digital environment all around us. To form this digital atmosphere a number of softwares and services are connected together with a common interface so called internet. "Software resources itself needs some space to sit and perform their functions, these spaces are so called clouds and the mechanism and techniques that holds all those stuff together is called cloud computing. " Why to use cloud computing ? 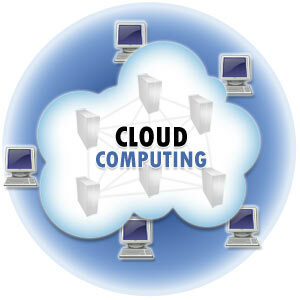 Before we enter in deep with cloud and its usage in computing world lets discuss its importance and benefits first. There are many reasons behind extensible use of cloud computing as of today, here i am providing some points that will give you a brief introduction about cloud computing importance and usage. Cloud computing provides us resources those are unlimited and always on and ready to use, rather we can say that cloud resources are ready to use at any point of time and can be released with no time. Cloud computing mechanism is designed and implemented in such a way that even a less technical person can use them with a small effort. Most of the cloud providers are giving a very user friendly and easy to use interface for on demand scale up, scale down or even scaling out easily. At any point of time one can move from one provider to another with no overhead or extra effort, in cloud export or importing data from one to other platform is very easy. The most amazing and impressive feature of cloud computing is that you only need to pat for what you use and till then you use the resources. Most of the cloud providers does not charge for start a service or leaving a service. Once you are done with your requirements, you can release the resources at any point of time and the deal is done no more money to pay after that. By now you have a brief introduction about what cloud computing is exactly ? and why to use it ?, now lets dive into a more detailed description of technical perspective of cloud computing. Most of the cloud providers like Amazon, gives a very user friendly and easy to use dashboard capability to their users. A cloud environment consists of some basic features and mechanism. At the core of all the setup there is some space and services starts with a machine, user can select an appropriate machine based on his requirements. A machine like ec2 is nothing but a hardware computer machine, it can be micro, small, medium, large or extra large based on disk space and RAM provided. At least one operating system is to be installed on that machine like Ubuntu, CentOS or Windows. Most of the cloud providers like Amazon provides a large number of choice to select an appropriate OS to be applied when launching a machine. Additional softwares and services can be installed on these machines than like, servers to deploy your application, Java, My Sql and much more to use them. Additionally cloud providers gives a choice of a large number of general purpose softwares to install on the fly. Than configurations related to port settings, public and private ip's and protocols are to be set to maintain integrity of your data on server. Security groups are associated to machine to restrict access and prevent unwanted interaction with outer world. Additional features are provided by cloud providers like RDS(Relational Database Server), to manage and secure databases and other things on server. Create an machine image and backup facility can be used as a paid of sometimes free services. In this blog we came to know about a brief introduction of what is cloud computing?, Why to use cloud computing and a little about what is amazon web services ?. So we can stop our discussion now saying that the future of web application is gonna very cloudy and cloud computing is becoming a part of highly productive and computational environment.